Watch how Ms. Kennedy uses learning targets in her Grade 6 English language arts class, going beyond simply posting the targets at the front of the room. See how students engage in classroom activities that align to the day’s learning targets. 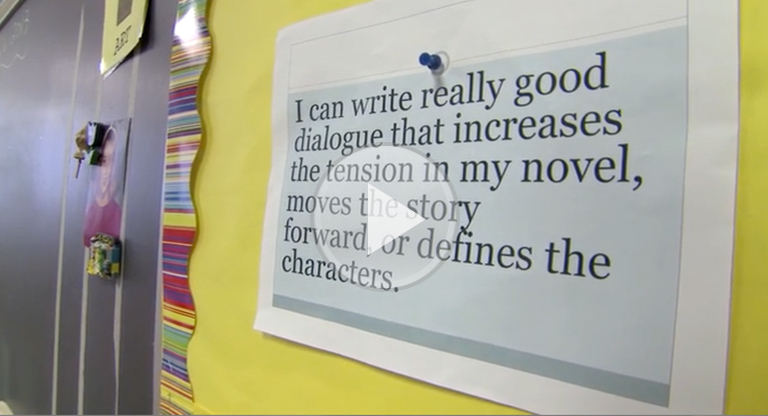 How does Ms. Kennedy make the vision and intent of the learning targets clear to her students? How do you currently use clear learning targets to help your students focus on the intended learning? What will you do to enhance your practice to help students focus on the intended learning? Enroll in the Clear Learning Targets module. Enroll in a FIP in Action module for more ideas about how to use clear learning targets.